Peak Navigation courses are run by Michael Hunt and Jane Livingstone with assistance from Austin Knott. Mike is a qualified International Mountain Leader and British rock-climbing instructor. Michael has been climbing and mountaineering since the 1970’s and has established over 30 “new routes” in the mountains of Britain and Europe. 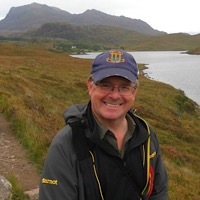 Michael has been Vice President of The British Mountaineering Council and is a former Director of Mountain Leader Training (the body that oversees the mountaineering qualifications). Michael is a member of The British Association of International Mountain Leaders and The Mountain Training Association. 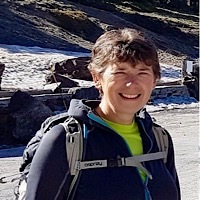 Jane is a qualified International Mountain Leader, an Expedition Leader and Gold DofE Assessor. Jane has been walking and climbing since the 1970’s in Europe and further afield; she particularly enjoys researching new destinations. Jane is a member of The British Association of International Mountain Leaders and The Mountain Training Association. As well as running navigation courses in the Peak District, Mike & Jane lead guided walking holidays in the Sierra Nevada and Alpujarra of southern Spain. Austin is qualified Hill and Moorland Leader, an ideal award for the Peak District. He met Mike and Jane through walks that they led and was inspired to become an accredited walk leader. When not walking or helping to teach navigation, Austin gives talks about walks, particularly aircraft wrecks walks, to local history and WI groups. 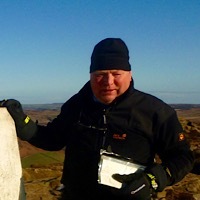 He is a member of the Mountain Training Association and is a British Mountaineering Council Hill Walking Representative for the Peak Area.